A monument commemorates Australia and New Zealand (NZ) Forces who served in World War One, and the centenary of ANZAC from 1915 to 2015. 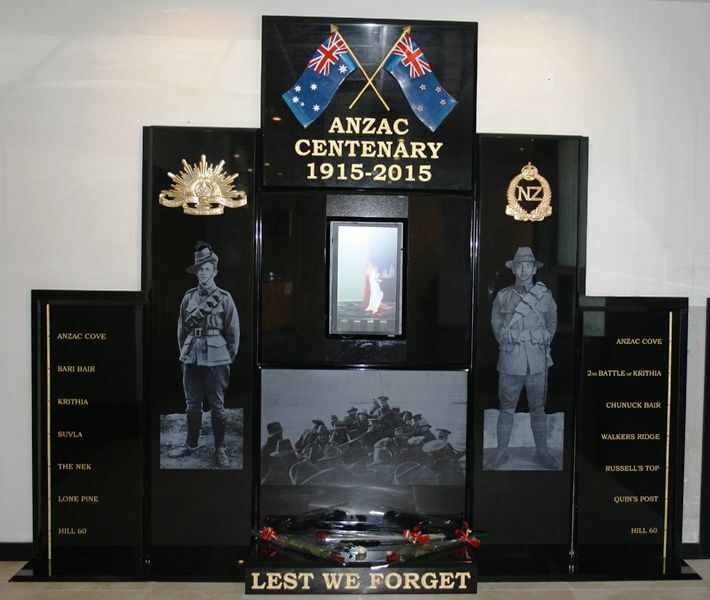 The central theme of the ANZAC monument was to put equal weight on the “NZ” part of ANZAC. The Australian and New Zealand troops fought together at Gallipoli thus beginning the story of ANZAC that has survived as part of the Australian culture for 100 years. Penshurst RSL Club was one of only two RSL Clubs that had representatives of the Australian and New Zealand armed forces in their memorials.